Musical luminary Joe Camilleri – yes, the same man famous for ‘Shape I’m In’ and ‘Harley and Rose’ – is coming back to the UK for two special dates in April with The Black Sorrows before he takes them over to the international Nidaros Blues Festival in Norway, then onto Sweden and Denmark with gusto, hot the heels of their latest album, ‘Citizen John’. I caught up with an effervescent Camilleri ahead of the band’s forthcoming European sojourn. “Once you’ve got the war paint on I feel a bit like a boxer, moving around the ring. C’mon, let me at em, let me at em,” an energised Joe told me ahead of the tour. Like so many Aussies who travel to Europe or foreign shores, there is a great re-invention to be enjoyed, I suggested. Having completed another year of touring Oz relentlessly (the hardest working man in rock by Rolling Stone’s standards ) and a few special dates in Germany last year, it’s a wonder he has time to write new music, but Joe is compelled to keep creating. So, more of the music, but less of the booze train? We’ll only see mineral water and herbal tea back stage these days, apparently. “Well, back 40 years ago I used to be able to hit the wall and bounce back. Now I just hit the wall and slide,” Joe admits. 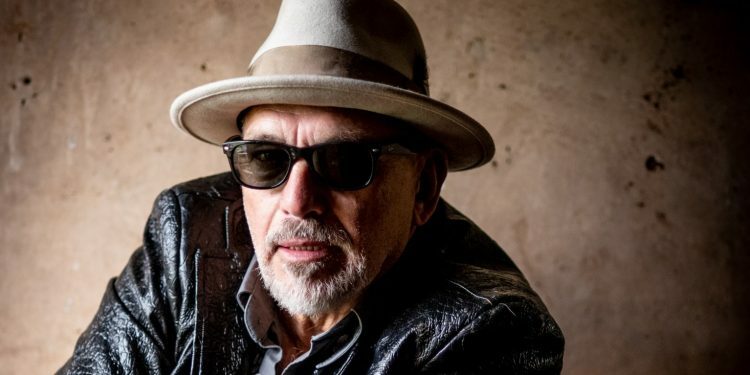 Joe and the rest of The Black Sorrows are playing PizzaExpress Live in Maidstone on 25 April, followed by Nell’s Jazz and Blues in London on 26 April before heading over to Scandinavia. The tour is in support the release of the band’s 21st album, ‘Citizen John’. So why not treat yourself and get a taste of home?